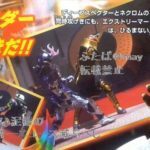 Some interesting new items are on the horizon for Kamen Rider Ghost! 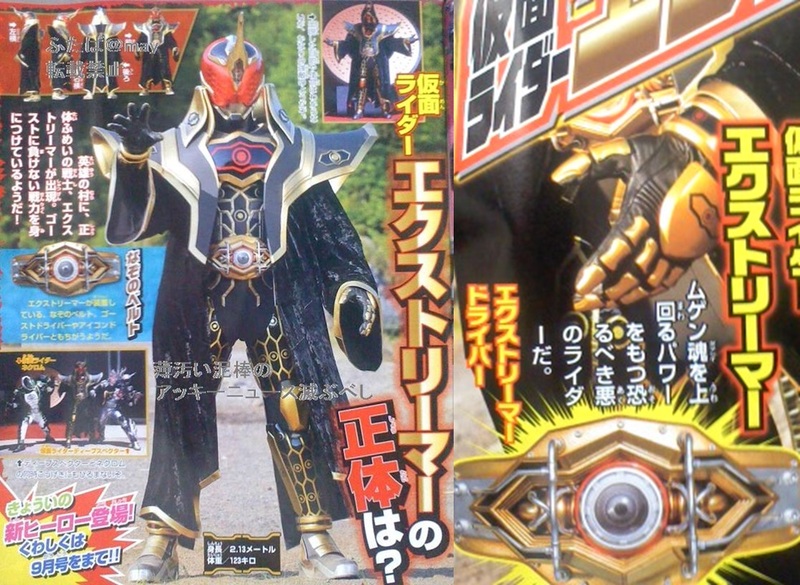 First up is a surprising new villain, known as Kamen Rider Xtremer! 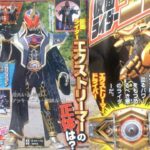 This regal new character uses an item known as the Xtremer Driver and supposedly has powers even greater than Ghosts’ own Mugen Damashii. 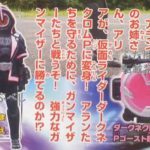 Second, a new MegaUloader will be found by Princess Alia (sister of Kamen Rider Necrom) and allow her to transform into Kamen Rider Dark Necrom-Pink. 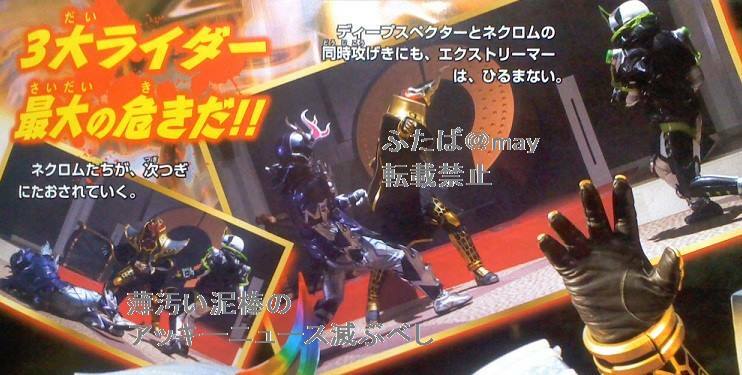 At time of writing, it is unconfirmed if these new Riders will first appear in Ghosts’ summer movie or in the series. Feel free to join in our ongoing Kamen Rider Ghost Discussion Thread to share your thoughts about these new Riders!